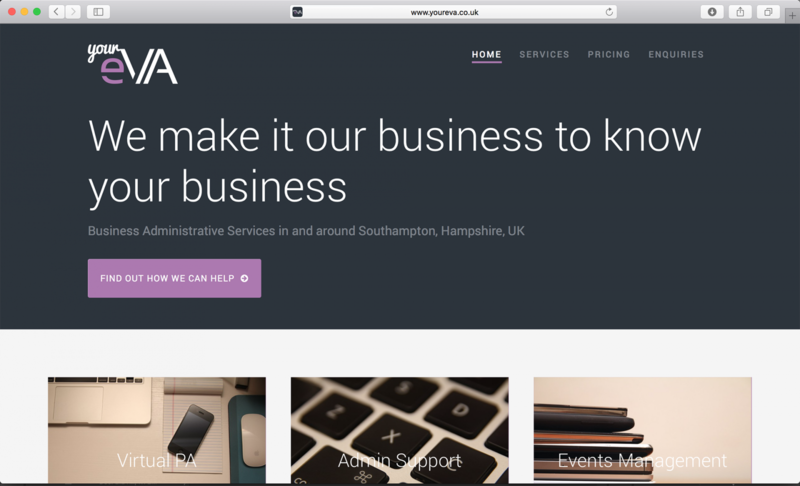 Providing business administration services for small businesses in the Southampton and Hampshire area, YourEVA is your new virtual assistant. After research and discussions with YourEVA, I developed a logo to help communicate the company’s key values – professionalism, efficiency and a friendly, personal touch. I then developed this branding across various formats to create a set of corporate stationery, including business cards, letterheads, and compliment slips. Further to this I designed an A5 flyer to help promote the business in the local area, and a style tile to ensure consistency when the client creates branded content in the future. 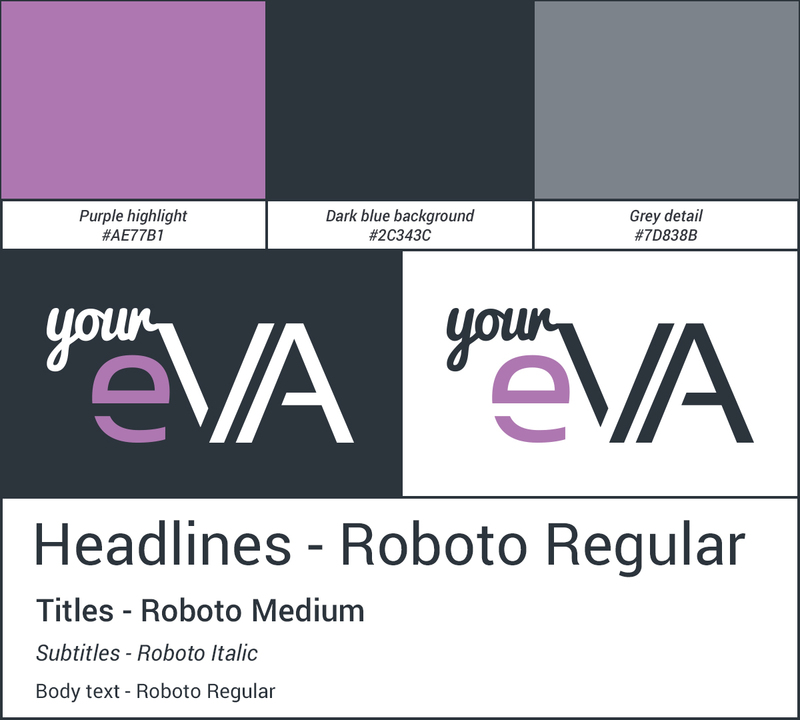 I also researched and selected an appropriate WordPress theme, which I proceeded to customise to match the newly-developed YourEVA branding, before writing the site’s content. This was done in a consistent tone, helping to develop a company voice that reflects the ethos of the business. 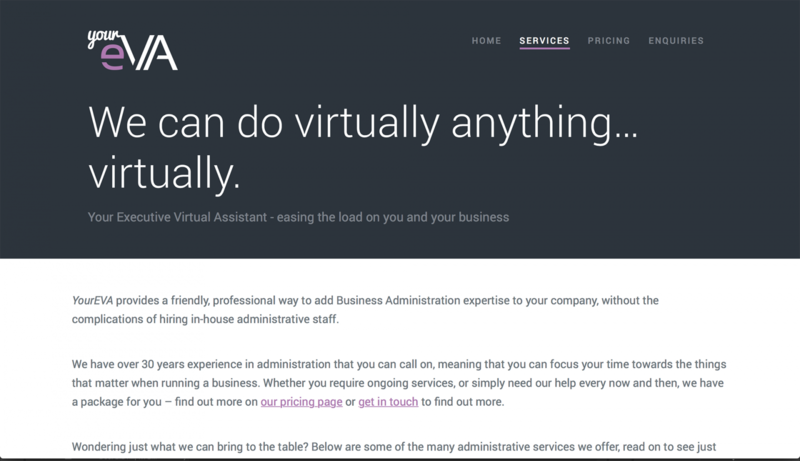 YourEVA, a new virtual assistant service, owned and founded by Julie Blackman. WordPress (including CSS and basic PHP), Adobe Photoshop CC, Adobe Illustrator CC for logo vectorisation, Solopress for printing, Google Apps for email hosting, Trello for task management.